So my longtime friend is finally having a baby girl. 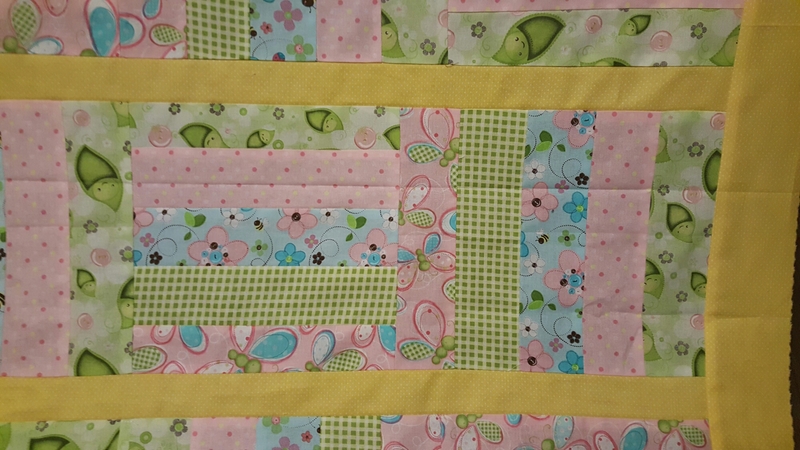 And what fabulous way to welcome her than making a quilt blanket. So I gathered all my materials and took out the bundle of fabrics I’ve been waiting to sew for a reason. After finding out his soon baby girl I wanted to make this blanket with her name on it. However, that thought failed since I have no experience in sewing characters. So I just left it as the regular quilt blanket. This is what I came up with. I truly couldn’t ask for better hues of pink, blues and green than this. I purchased this bundle at our local store and just now found a use for it. I hope this is big enough for his little girl Adeline 😀 I love that name. Thank you everyone for stopping by. 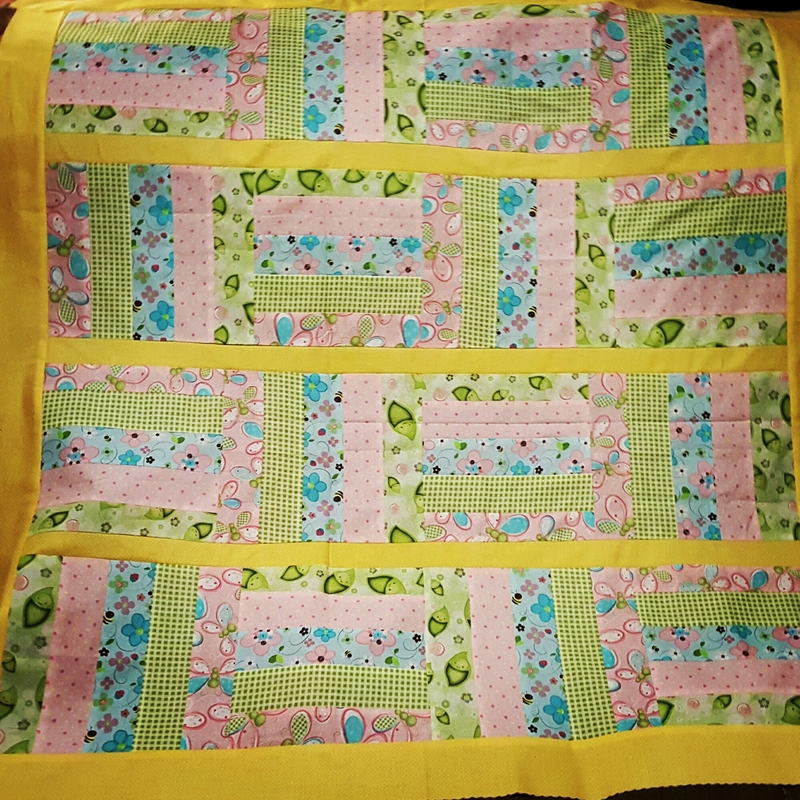 Have a happy quilting!